Plano Urgent Care, a locally owned and operated urgent care clinic Backs the Blue. During the months of August and September, 2016, Plano Urgent Care committed to donating $1 for every school physical completed to the Plano Police Association. The total number of physicals completed during this time was 548 resulting in a $548 donation. Camp Sweeney is one of few camps in the country designed specifically for kids with diabetes. The only requirement to attend is that a camper has diabetes or is at risk of developing diabetes. Camp Sweeney is built upon four ideals that campers and staff alike strive to achieve: Normalization, Self Confidence, Self-Esteem and Friendship & Service Camp Sweeney has served more than 30,000 campers since 1950. Many entered Camp Sweeney at age 5 and attended every summer through age 18. Some have returned as counselors. And some are even sending their own kids to Camp Sweeney. Camp Sweeney, it seems, is more a family than a camp. Normalization is crucial in developing a treatment regimen for any child with diabetes. Diabetes management skills are learned here and become a normal part of daily life. Campers learn to plan healthy meals and regulate insulin. They learn exercise programs and medical management skills. With help from physician and counselors, campers are taught to independently manage their diabetes with habits that help combat long-term effects of type I diabetes. Independent research studies show that Camp Sweeney improves both the short-term and long-term prognoses for children with diabetes. To help drive support, PUC will donate $1 for every Facebook”Like” we receive during the month of May up to $250. This will be matched by a private donor. Meet the Experienced Team at Plano Urgent Care Who Provide Health Care for Children, and Adults 7 Days a Week. If you are looking for a reliable and available provider in the Plano and surrounding areas, then Plano Urgent Care has you covered. We are a family-friendly urgent care clinic that offers medical services for children, seniors and adults. Rather than sitting for hours in a hospital waiting room, our urgent care clinic offers the convenient option of walk-in medical care. When you walk into to Plano Urgent Care, a trained and knowledgeable member of our team will help you immediately. In addition to our great location in Plano and our timely urgent care services, we are also open 7 days a week during flexible hours. We are open Monday thru Friday from 9 am to 9 pm, and Saturday and Sunday from 9 am to 6 pm. All of our physicians have years of experience when it comes to providing family health care and emergency medicine care. Plano Urgent Care offers a large variety of services, whether you need help with a sprained ankle or a bad case of bronchitis. We also offer walk-in physicals on-site at our clinic. 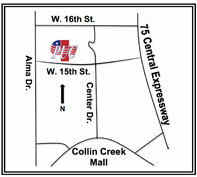 Plano Urgent Care is conveniently located at 901 W. 15TH Street Plano, TX 75075. We also offer services to the surrounding areas, including Parker, Murphy, Allen, and Richardson. 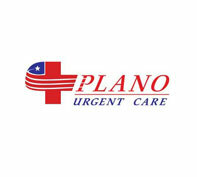 Plano Urgent Care is locally owned and operated. Our physician owners and each member of our staff strongly believe in treating our patients the way we would want to be treated. We take very seriously the trust that you place in us when you come to us for your healthcare needs. We will strive daily to provide more than mere convenience. Rather, we will approach each encounter carefully and empathetically to ensure your issue is managed with thoughtful consideration. That starts with nurturing an environment worthy of your confidence. Our friendly staff will greet you warmly and serve you promptly. They will take time to explain our transparent and straightforward billing processes. Our clinic is open 7 days a week so that we can care for our community even when life’s accidents and illnesses don’t come at a convenient time. Ultimately, we are part of the Plano area and we count it a privilege to be able to partner with you in your health. We will help to get you on the road to recovery, but will also seek to contribute meaningfully to our community. We care very much about your entire experience at our facility and we take special care to ensure your outcome is favorable. At Plano Urgent Care, we make it our mission to serve you and your family with a passion for compassionate care!